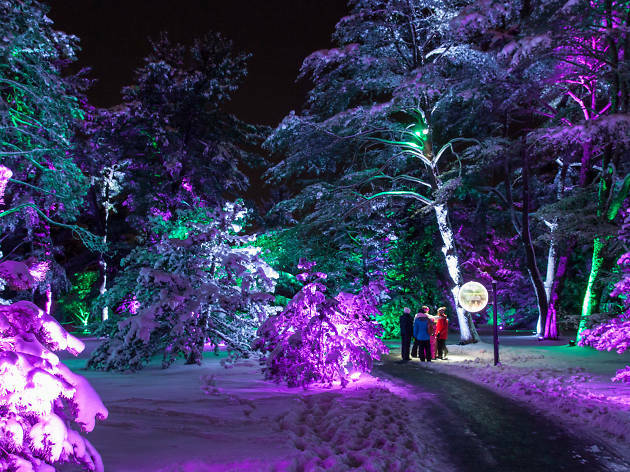 When the weather gets cold, the trees at Morton Arboretum light up in a sea of color at this popular winter event. 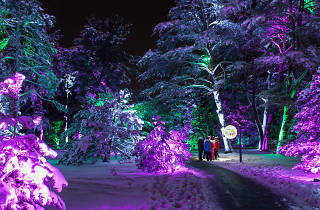 Guests at Illumination walk down a one-mile path through the forest, admiring the magical display and seasonal music. New features at this year's edition include tree-like sculpture from artist HYBYCOZO, a tree that changes colors when you hug it and campfires stocked with hot drinks and s'mores.